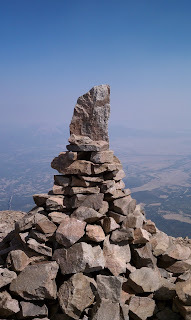 The weather on the morning of July 2nd was perfect for a summit attempt of West Spanish Peak in southern Colorado. 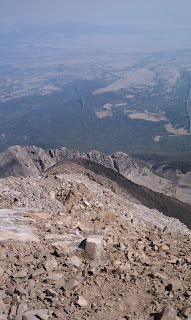 Only one and a half weeks earlier, I was denied access to the top by a winterlike storm during late June. What a difference a few weeks made. Yesterday morning, the wind was calm, temperature mild, and the sky sunny and cloud free (except for the haze drifting northeast out of Los Alamos, NM). I started my hike from the trailhead at Cordova Pass at 7:15am sharp. 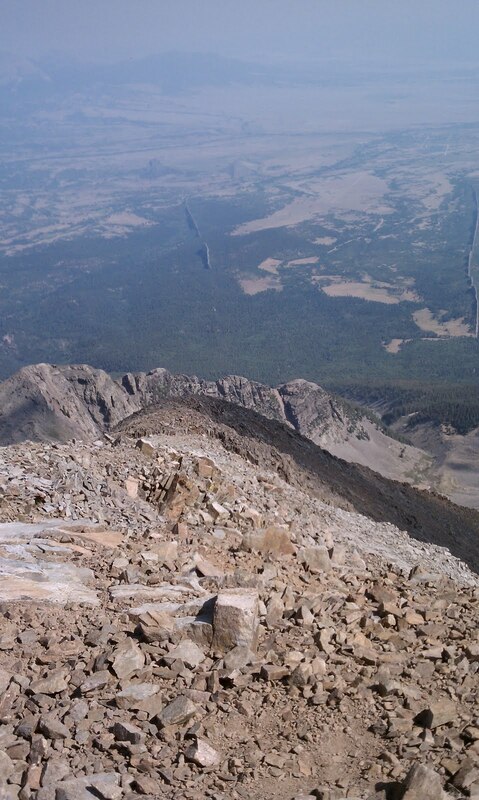 It took about an hour to reach treeline, and then another hour and 45 minutes to reach the summit. 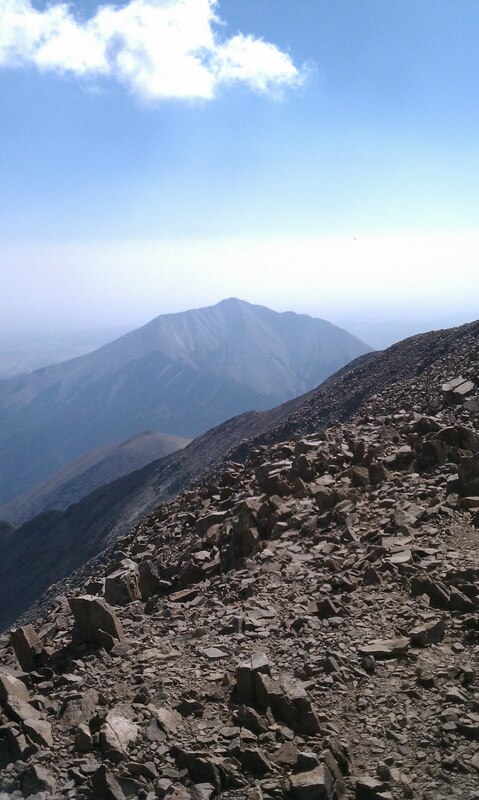 The hike up the western slope of West Spanish Peak was fairly easy...the only obstacles being the loose rock that covers most of the route. At 9:50am, I found that I was the only person on top of the mountain...another group of people were still about an hour below...I would meet them as I began my descent. 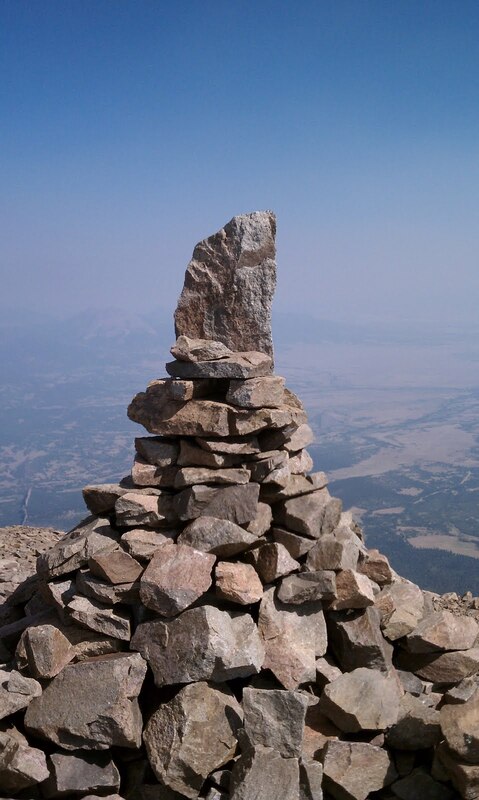 There are two distinct vertical points at the top...when I looked east at the second summit, it appeared that it was higher, so I walked over to that feature in order to insure I obtained the true summit. However, when I looked back to the west, it appeared that the original summit was higher...obviously one of these is a false summit, but I'm still not sure which is which. The pictures I posted below are from the western summit. I began hiking back down at 10am. 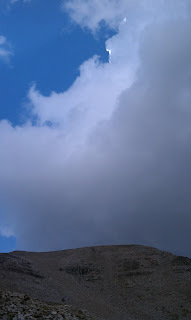 A small cumulus was already building directly above the summit, a sign that storm initiation would be early on this day. I met many different people making an attempt on the summit as I went down...one person was bringing his grandmothers ashes to the top, where he would then scatter them according to her wishes. Strangely, people kept going up even as the towering cumulus above the peak became darker and more ominous. Shortly after I went below treeline, the first clap of thunder was heard, yet people kept going up...a very poor decision on their part. 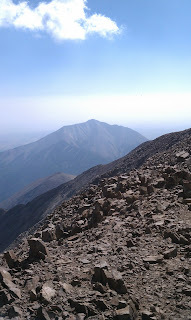 Otherwise, I reached my car at noon...a 5 hour round trip, 6-7 miles total, and around 2400' of vertical gain.